Maintenance should be the #1 factor when buying a used/refurbished Xerox machine. Please see the maintenance options below and let us know which one works best for you. We can coordinate a Xerox Full Service Maintenance Agreement on your behalf, refer you to an alternative maintenance company, or train you on how to self service your own machine. 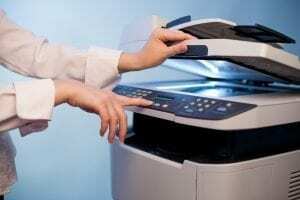 We coordinate with Xerox to get you a quote for maintenance on the machine we are proposing. Once the machine is delivered, Xerox will come to your location, install the machine, and inspect the machine to make sure it is rebuilt to satisfy the requirements of the Xerox service staff. Once the contracts department gets approval from the local area service manager, you will have a full service maintenance contract. The Xerox service staff will treat you as if you had just purchased a new Xerox machine. The Xerox total satisfaction guarantee will also apply once you are under a Xerox service contract. What Fees and Costs can you Expect? And Who Pays for Them? Xerox charges inspection fees to certify all used/refurbished equipment for Xerox maintenance. For the first 30 minutes on site, Xerox charges $781.00 for the machine (IOT) and $781.00 for the controller (Fiery or FreeFlow). Then $90.00 for each 15 minutes thereafter. Is your machine provider including these costs in the price of their machine? X-Digital does! Now imagine that the used machine you just purchased has not been refurbished (stripped down to the frame, defective/worn parts replaced, and built back up). Xerox comes in to inspect the machine for contract, they take the time to install the machine (1-4 hours) and now its not working properly or up to their service requirements. 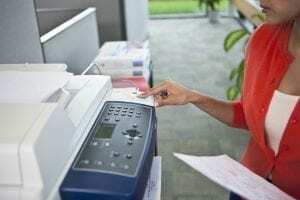 Xerox is going to bill you for the technician’s time to fix any issues, and for the parts they replace to get your machine up to certain service levels. Xerox parts from the technician’s trunk aren’t cheap! Nor is their time! Don’t have a machine rebuilt on your floor. Contact X-Digital today for a stress free delivery, installation and certification process for your next used Xerox. Looking for an alternative Xerox maintenance service provider in Southern California? X-Digital can help! Why should you consider an alternative maintenance provider to maintain your Xerox equipment? The right independent maintenance company will provide competitive maintenance rates, and better response times than the manufacturer, which helps you maximize the uptime of your machine. How? It’s simple really, utilize senior engineers who average 30 years maintaining machines for the manufacturer, give them less machines to maintain in a condensed geographic territory, and stock them with virtually every part and supply needed to maintain your machine at a production level. Less machines in the field mean more technicians available to help YOU. Why Consider 3rd party maintenance? *GET The level of service you deserve….Contact X-DIGITAL today. Below are the machines we are currently maintaining via our 3rd party maintenance company. CTA: Contact us today for rates. At X-Digital, we have trained clients on how to self maintain their own Xerox equipment. We’ve trained everyone from the largest corporate print providers to the smaller copy shops who want more control over their cost & independence from the manufacturer – and hopefully through the process, realize cost savings. We offer both on-site maintenance training and off-site training at our X-Digital facility. After receiving training from the X-Digital team, you will feel well equipped and confident to operate and maintain your machine. And if you need some extra help, we are just a phone call away. Where do i get parts and supplies for my machines?? You will be responsible for buying and installing your own parts and consumables. One key to our self maintenance consulting program is our specialized training on High Frequency Service Items (HFSI’s). We train you to keep an eye on your HFSI’s, as this list will tell you which parts are reaching the end of their life. With this knowledge, you can order parts to keep on hand to replace before or after failure. Our parts department can handle all of your Xerox supply and parts needs. Please contact our parts department at 760-737-0497. X-Digital works with you to develop a list of parts to have onsite for both preventative maintenance and common machine problems. This increases uptime when a problem does occur because your have those parts onsite! X-Digital will train you on how to operate and maintain your machine. In case of an emergency, we have a team of technicians onsite at X-Digital to help over the phone or via video conferencing. A database of independent technicians are available to provide support nationwide. We supply you with the tools/expertise to make servicing your machines easier. Ask us how. We recommend having redundancy when self-serving. Self-serving works the best when you have more than one machine to rely on. Having a back-up or 2nd machine means you should never have two machines down at the same time. Parts machines are key to self-maintenance. If you have the space, we can sell you a parts engine for you to pull good used parts off of to self maintain your Xerox machine. This helps cut costs and enables you to have virtually every part on site thus increasing your uptime. Please contact us for more information regarding this program.